The Lipstick Chronicles: The Best Christmas Movies Ever. If You're Into That Sort of Thing. The Best Christmas Movies Ever. If You're Into That Sort of Thing. So in the spirit of the holiday season, I present to you my favorite all-time Christmas movies. This is my favorite. Yes, I know it's everybody's favorite. 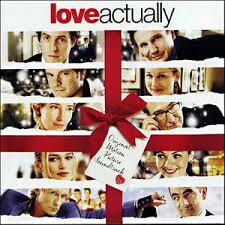 (Although Love Actually is a very close second for me.) I actually wore a hole in my VHS copy of Frank Capra's classic story about what our lives mean to the people around us. I have been known to sing "Buffalo gal won't you come out tonight...and dance by the light of the moon..." for weeks after watching this movie, much to the dismay of my husband who does not enjoy off-key singing as much as one might think. This film has a fantastic cast (Emma Thompson, Hugh Grant, Liam Neeson, Colin Firth and many more) and something like six interwoven storylines. It sounds like a lot, but it works. From the washed-out rock star hoping for one more hit, to the mystery writer who falls in love with a woman who doesn't speak his language, to the widower who helps his stepson win the heart of a classmate, this movie is so charming and relatable, it's hard not to be a believer. This was remade as You've Got Mail with Tom Hanks and Meg Ryan, but in my opinion, the original is wayyy better. 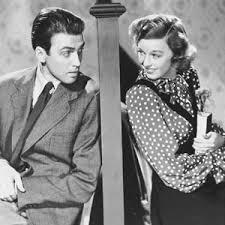 James Stewart and Margaret Sullivan are charming and a bsolutely perfect together as a couple who hate each other on sight, and carry a torch for their respective pen pals. (Who are, of course, each other.) The rest, as they say, is movie magic. Kevinnnnnnn! 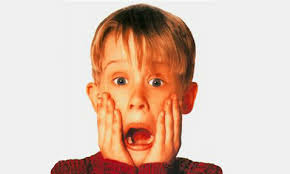 After Kevin's gigantic family leaves him home alone on Christmas, he is left to fend for himself against two burglars working the neighborhood. Joe Pesci and Daniel Stern are spectacular as the hapless crooks, and Macaulay Culkin is about as charming as a kid can get. My kids LOOOOVE this movie, and every year they fantasize about how they might take out a neighborhood bad guy using only the contents of the refrigerator and their toy boxes. 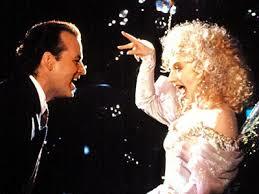 This is actually one of my favorite Bill Murray movies. He is perfect and utterly hilarious as a network honcho who finds himself visited by the Ghosts of Christmas Present, Past & Future. The thing I love about this movie is that even though there are dozens of sight gags and golfball to the crotch type moments, the film has heart. I cry every time they start singing "Put a Little Love in Your Heart." Yes, I'm a big sap. I'm aware of this. This is not as well-known as the other films on my list, but it's still one of our family's favorit es. Thanks to an ill-timed snow storm, a bunch of kids traveling alone find themselves stranded in an airport with a cranky airport manager (Lewis Black) who would rather be on vacation. Christmas AND Sandra Bullock? What's not to love? I'm crazy about this story about an orphaned MTA worker who saves the life of a man she has a crush on, and then finds herself pretending to be his fiancee. 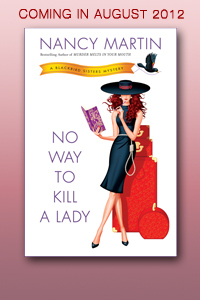 While the would-be fiancee naps away in a coma, Sandra spends the holidays as the newest member of the Callaghan family -- played to perfection by a hilarious and charming group of character actors. (These mashed potatoes are so creamy!) While fake fiancee Peter is sleeping, Bullock's character develops a crush on his brother Jack. Hmm, what to do, what to do? I was planning to call this post "best holiday movies ever" when I realized, I don't have one single Hanukkah or Kwanzaa movie in the bunch. And it's not that I had any that didn't make the list...I couldn't think of a single one. So I ask you, dear readers, to please help me fill in the list. What have I missed? And what are your favorite holiday films? DIE HARD and DIE HARD 2. 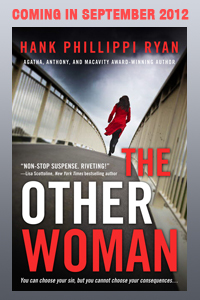 It's Christmas Eve, how far will a man go to save the woman he loves? (Best line of all time, in DH2: "How can the same shi* happen to the same guy TWICE?" ON HER MAJESTY'S SECRET SERVICE: 007 saves the world on Christmas Day, plus Diana Rigg in miniskirts. Add in one of John Barry's best scores, and it's heaven. In our house, we begin watching "A Christmas Story" at Thanksgiving. Gotta love Ralphie and Randy. This year, my eight year old is actually requesting Chinese food (Chinese turkey!) for Christmas dinner. The other flick we really enjoy is "The Santa Clause." Anyone know where Santa might pick up a Weenie Whistle? And although it is technically a Thanksgiving story, one of my favorite movies in any season is "Home for the Holidays." Every single member of that cast gives brilliantly funny performances (thanks Jodie Foster!) and the scenario of the aging parents and feuding siblings is all too familiar to many of us. I love all of these . . . I'd add "Family Man". And The peanuts Christmas special, while I know it's not a movie, brings me to tears every time when Linus explains the real meaning of Christmas. I LOVE While You Were Sleeping, except for the scene in which Sandra and the cat share her bowl of cereal. Yuck. Just saw 2008's "Four Christmases" with Vince Vaughn and loved it. "Elf" with Will Farrell is also a favorite in our house. Currently in the Netflix pile: "This Christmas" and "Nothing Like the Holidays" - didn't see them in the theater last year, so I'm catching up. Thanks for all the good suggestions. I've requested some from the library, and a few might actually be available -- the rest will have to be "Christmas in July." The Rep (St. Louis Repertory Theater in Webster Groves) is doing The Christmas Story, and I'm going this afternoon. A neighbor, a recent widow who needs cheering up, is joining me and then dinner at Cyrano's -- should be good for both of us. I have season tickets, but no regular theater buddy any more, so I'm happy when friends or nieces want to join me -- makes it much more fun! The Holiday is one of my new Christmas favorites. Hilarious and touching. I love The Holiday. I am also moved by the the scene in Home Alone when mother and son are reunited. There's just something about the mother and son that gets to me every time. Merry Christmas and Happy Holidays to all. KETC played Beyond Tomorrow last night --I recorded the beginning by accident trying to get Donnybrook. Of course, I've been told there are no accidents . . .
Three tycoons play Cupid for a couple on Christmas Eve, then guide them from the hereafter. Ive seen most of there, but (I'm embarrassed to admit), we watch Nat. Lampoon Christmas Vacation every year. Beyond Tomorrow..Haven't seen that. Sounds like glorious black and white goodie! 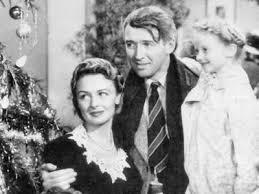 "It's A Wonderful Life" is still my all-time favorite, and I get a little misty at the end every time I watch it. 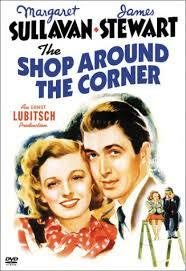 Also agree that "The Shop Around the Corner" was better than the remake, although "You've got Mail" was cute, there was more depth to the James Stewart and Margaret Sullivan characters. But then, I am a HUGE Stewart fan and think all his roles are special. I do like some of the classic comedies, as well as the newer ones. "Elf" was hilarious, and I am looking forward to this year's version of "A Christmas Carol" with Jim Carrey. "How The Grinch Stole Christmas" (the original cartoon) -- my daughter and I both cry when "The Grinch's small heart grew three sizes that day." "A Charlie Brown Christmas" -- I cry when Linus narrates the nativity story. George C. Scott's "A Christmas Carol" -- I cry at all sorts of places in that one. "Elf" -- I usually laugh too much to cry. I know and love most of the ones on this list already, but will now check out "Unaccompanied Minors" and see "While You Were Sleeping" again (how could I have forgotten that one?????). I love those movies! Last night White Christmas was on with Bing Crosby. No one can sing White Christmas better than him! Actually, I loathe It's a Wonderful Life. My entire family dislikes it. My favorite holiday movies run to various versions of A Christmas Carol. My favorite is the Alastair Sim version (nothing against the Seymour Hicks and Reginald Owen versions, I just like the Sim version better). I also enjoy the musical Scrooge starring the late Albert Finney in the title role. Mr. Magoo's Christmas Carol isn't bad either. In terms of tv specials, I'm rather fond of the Rugrats Hanukah special, but Nickelodeon doesn't seem to show it anymore. I'm so relieved to know I'm not the only one who is tired of It's a Wonderful Life. And if I never have to see any version of A Christmas Carol again it will be fine with me. Never did like it, although I have enjoyed almost every other Dickens' I've ever read. Wasn't there a cartoon version of The Littlest Angel some while back? The book was always my favorite Christmas story, from the time I was very small. I love THE SANTA CLAUSE and DIE HARD, of course, is a classic. Can't believe I left WHITE CHRISTMAS and MIRACLE ON 34th ST off the list!! Oh, there was a movie version of The Littlest Angel, with Johnny Whitaker as the angel. Still seems as though there might have been a cartoon, too. My wife and I would pick "Love Actually" for number 1, She likes Jim Carrey's Grinch while I like "A Christmas Story" for number two. We both are sick of "It's a Wonderful Life" as well. I've seen a great many of the ones listed and enjoyed most. I also like Bell, Book and Candle, which might fit for a Solstice film, as it begins at Christmastime and is about a witch; and for a more serious film, Joyeux Noel, about the Christmas Truce of 1914. I vote for the George C. Scott CHRISTMAS CAROL and yes, I agree about Shop Around the Corner, but I must say, that final moment between Tom Hanks and Meg Ryan in YOU'VE GOT MAIL? Makes me cry every time. And I also loved BRIDGET JONES DIARY, which of course is a Christmas movie, and I loved LOVE, ACTUALLY, but there's nothing like DIE HARD. Can someone come over and help me with my outside lights? I'm in the no "It's a Wonderful Life" crew. It has never appealed to me. Cathy, Albert Finney is very much alive. I love "Home for the Holidays", "Love Actually", "White Christmas", "Holiday Inn" and "While You Were Sleeping." Side note: I went to a party with a White Elephant gift exchange Friday night. Most of the women were in the 50-70 age range. I gave a Sylvia Porter's Money Book for the 1980s and a DVD of Born Yesterday. The first gift was the joke, but the joke was on me. These women had never heard of the movie or of Judy Holliday. Sacrilege! Love White Christmas. Adore Love, Actually. Crazy about Shop Around The Corner and The Holiday. I actually prefer the Muppets version of A Christmas Carol. Never cared for Home Alone. I always thought that it was nothing the three stooges hadn't done years before. William! I have always liked ON HER MAJESTY'S SECRET SERVICE. You forgot, Louie Armstrong singing the love song while wooing Diana Rigg and Bond in a skirt. Sorry for starting off like such a sap, but for feel good Christmas movies I tend to lean towards Lifetime and Hallmark channels. But for less romantic sentiment and mush with action and/or plenty of laughs my list includes: the Die Hard series, Elf, Scrooge and How the Grinch Stole Christmas (Jim Carrey version). Oh, and any Turner Classic Black & White holiday movie for that nostalgic touch. We love "A Christmas Story" and Muppet Christmas Carol, but my very favorite is "The Homecoming" which ended up being the pilot for "The Waltons" except Patricia Neal was the Mother and Edgar Bergen played the Grandpa (oh and someone else played the father, but his part was small). Just love this one. _Christmas Story_ at the Rep was laugh-out-loud funny. Dinner afterwards at Cyrano's http://www.cyranos.com/ was splendiferous, including the brave, experimental (at least for us) ordering of chocolate covered bacon (better than we expected but not destined to be a mainstay of my diet). Then, crossing the street after dinner to get back to my car, we were nearly run over, car speeding up and horn honking. There are indeed some bad scary people out there . . . safely home, celebrated life with chocolate wine! Thanks to you all, I've ordered many movies from the library. Thanks for the great list, Lisa! I agree with all the 'yes' picks except that I've not watched the Die Hard films nor Elf, Scrooged, etc., and realize I've got some viewing deficits to search out and correct! I've loved 'It's a Wonderful Life' for nearly 40 years, although I no longer sit down and watch the whole thing each year as I used to do--now a few scenes run and I remember the whole thing and keep doing whatever I need to do as the story carries on in the background. Home for the Holidays has a very special place in my heart--Robt. Downey Jr.= my brother, his sister = me, and the bottle of wine (if memory serves) they down was emblematic at the least of what we wanted to do, whether we did or not in reality. Love, Actually---what a great film! The Holiday, pretty sweet, too. I think I'm the only one on the planet who hasn't seen "It's a wonderful life" - not sure why, but I have no desire. Which is VERY odd because I love almost all Christmas movies (I'm not into "old" movies so I'm sure that plays a big part on my lack of desire). And yay!... glad I'm not the only one who can't tolerate any of the Christmas Carol versions anymore. I know it's a great movie, but I've seen a million versions a million times. Can't take seeing it again, no matter who's in it. ACK! LOL. Favorite Christmas movie? THE CHRISTMAS LIST (with Mimi Rogers). It's touching and just, well... cute. A feel-good Christmas movie. I believe it was made-for-tv. Great post! If you want to add to your singing of 'buffalo gals' after you watch It's A Wonderful Life, take a listen to a holiday song I wrote called George Bailey. Obviously I'm a big fan of the movie too... there's no shame in that! You can hear the song via my website below and can watch the video on youtube. Hope you enjoy.. thanks and happy holidays! National Lampoon's Christmas Vacation!! What could be better than a good old fashioned family Christmas with the Griswolds? You sure we're not sisters separated at birth? I'm a holiday movie sap, too. I love Tim Allen's The Santa Clause, and ALL the old stop motion shows: The Year without a Santa Claus, Santa Claus is Coming to Town, Rudolph, The Little Drummer Boy. They're classics. I love Love Actually. Speaking of Hugh Grant, there is a great Christmas scene in About A Boy. From my point of view, the negative thing is if a film "converts" scary scenes on the book into something cheerful enough to attract kids --for the sake of marketing-- just like in Coraline..
me and my dad always watch its a wonderful xmas every year fun classic movie to watch.